This page contains a translation into English of the lyrics to the Egyptian pop song "Boussi Ba'a", which was recorded by Sherine. 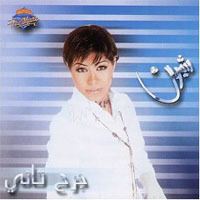 The song title is sometimes spelled as "Bossi Baa", and the singer's name is sometimes spelled as Shareen, Sherin, or Shereen. Also included is a transliteration of the Arabic lyrics into the Roman alphabet so you can sing along if you like. Bossi ba2a 3ashan tib2a 3aaref, albi inseek wirgi3li khalaas. Inta ba2a illi inta konti shaayef inni hayati ma3aak wi khalaas. Look over here so you can know, my heart forgot you and returned back to me. You are the one who were seeing things that my life with you finished. Imshi ba2a shoof gayi lmnain, warrini ba2a hatrooh 3ala fain. Go ahead, Walk over see you are coming from where. Show me where you are going to go. Laaaaaa Ya habeebi 3ala mean. Nooooo O' my darling on whom. Bossi ba2a 3ashan tib2a 3aaref, albi inseek wirgi3li khalaas. Inta ba2a illi inta konti shaayef inni hayati ma3aak wi khalaas. Aaah. Look over here so you can know, my heart forgot you and returned back to me. You are the one who were seeing things that my life with you finished. Aaah. Ana habaytak wiyama inseetak, wifalbi Aah daraitak min 3oyooni ilnaas. I loved you and often forgot you and in my heart aah I took care of you from people's eyes. Inta anaani, ya anaani. Bit3eish wahdaani, wala hatta hayis2al feek taani, wi bokra bitshoof bi 3inaik. You are selfish, o' selfish one, you live alone and no one will ask about you. And tomorrow you will see in your own eyes. Gatli bitgayar wana. Ana eih 3amalto ana, yekhaleek tib3aid 3anni wi tiwgaa3 albi 3alaik. It came to me that you will change. What I did myself that makes you keep away from me and to hurt my heart on you. Wala kont ana, ana bain eiydake wala hont ana ya roohi 3alaik. Wi idirt ti2wa 3alaya lamma ihtagti ilaik. And I did not, I am in your hands and neither I was not easy o' my soul on you. And you became stronger when I needed you. Bossi ba2a 3ashan tib2a 3aaref, albi inseek wirgi3li khalaas. Inta ba2a illi inta keif shaayef inni hayati ma3aak wi khalaas. Look over here so you can know, my heart forgot you and returned back to me. You are the one who were seeing things that my life with you finished. Aalbi inseek wirgi3li Khalaas. My heart forgot you and returned back to me.